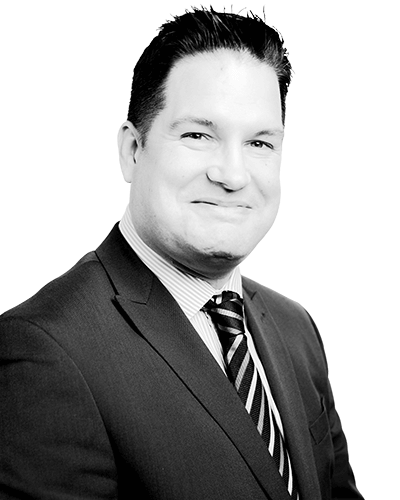 Gavin is a solicitor and Partner of the firm, based at our Benfleet office. Gavin qualified as a solicitor in 2000 and joined THB in 2011. Gavin is a Solicitor Advocate and has defended clients in trials in various Crown Courts across the South East of England including the Old Bailey. Gavin has also appeared before the Court of Appeal. Gavin’s practice includes all forms of criminal cases although he specialises in Crown Court work often involving serious allegations including homicides, offences of serious violence, sexual offences and fraud. In his role as a Solicitor Advocate Gavin is able to both prepare cases for trial and also defend those cases at trial using his Higher Rights of Audience. Clients are often pleased to have continuity of service with Gavin’s work preparing cases and representing those clients in the role of an advocate at court. The wealth of experience Gavin has gained in defending all types of criminal cases means that he is extremely well placed to provide his strategic tactical approach in order to defend his clients securing the best outcome possible. Gavin represented one of four defendants at the Old Bailey accused of laundering the proceeds of a multi-million pound fraud. Gavin represented a mentally disordered defendant who was deemed unfit for trial and subsequently avoided a Hospital Order. Client acquitted of an offence of wounding with intent where it was suggested the victim had been severely injured in her own home by the defendant. Client acquitted of taking several prohibited articles in to prison after being stopped during a random search. Gavin represented a mentally disordered defendant who was accused of sexual grooming. The Crown Prosecution Service offered no evidence against the defendant before the case went to trial.